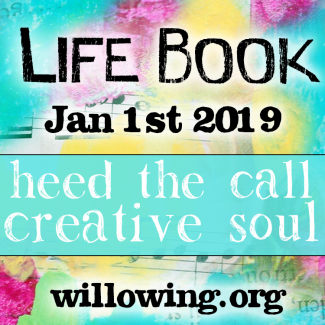 Do you want to make art and help the earth at the same time? This package contains some fabulous art resources by some of the most popular mixed media teachers in our community! 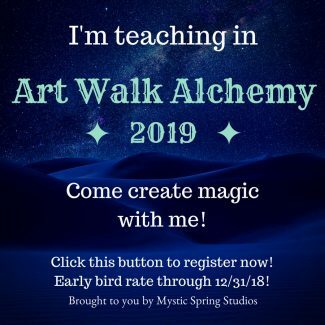 It contains over 75+ amazing art resources including some brand new courses that have not been published before. It will be on sale for 7 days only. 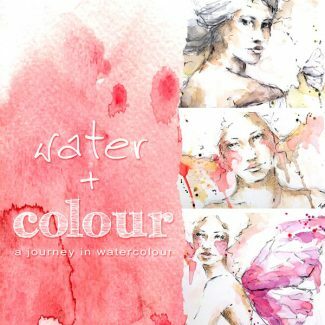 Get over 75+ art resources for an amazing low price! I don’t know about you but I am a bit of a tree hugger, I love touching them, putting my arms around them, sitting by them…the magic of them. Now my friend Tam from Willowing Arts has been worried about climate change for a while now, and she wanted to make a meaningful difference / contribution to the ‘fight against climate change’. My contribution to this package is this lovely (brand new!) 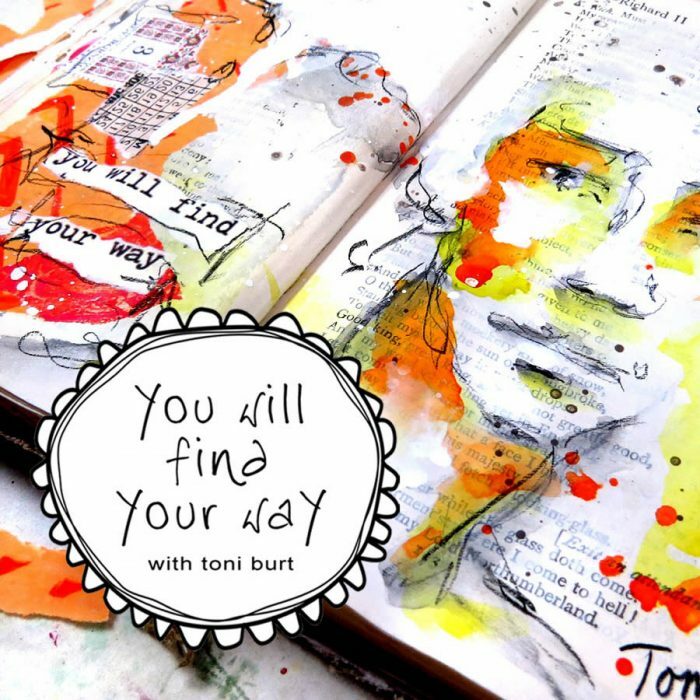 art journal spread using mixed media, pencil and watercolour/gouache. 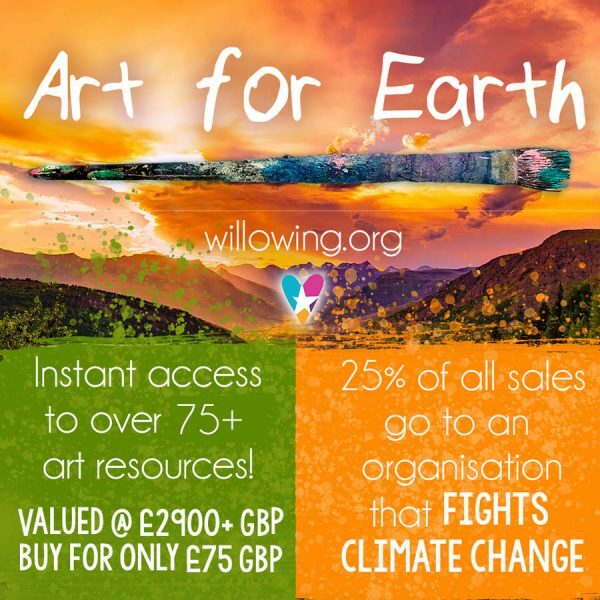 The Art for Earth Package is valued at over £2900+ GBP, but will be sold for only £75 GBP! It will be on sale for 7 days only and get this; 25% of all sales will go to an amazing organisation that helps improve our climate. They are called Tree Sisters and they are a group of women spread out all over the world with a mission to plant trees and a focus on tropical reforestation. grass roots level with a focus on women and tropical reforestation. We are growing a global network of women who donate monthly to fund the acceleration of tropical reforestation as an expression of collective planetary care. in the tropics with whom we partner to restore ecosystems. 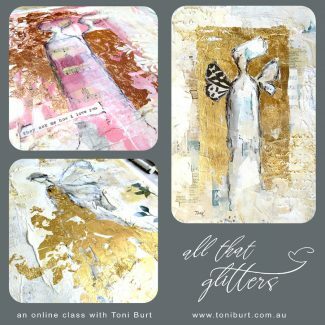 This package contains some fabulous art resources by some of the most popular mixed media teachers in our community! 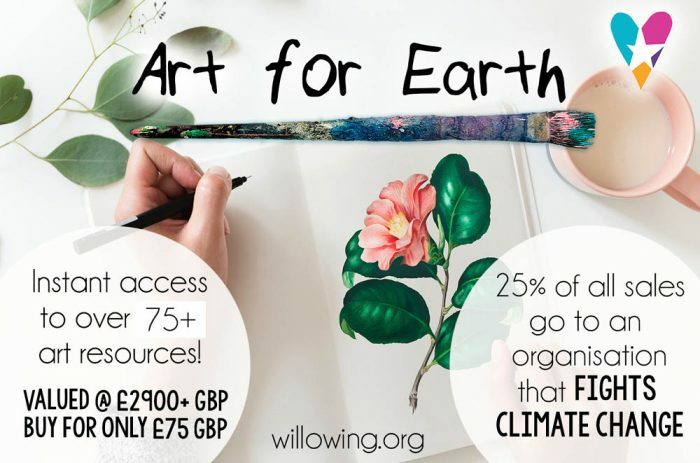 I hope you’ll buy this wonderful package of awesome art goodies and help the earth while making art!